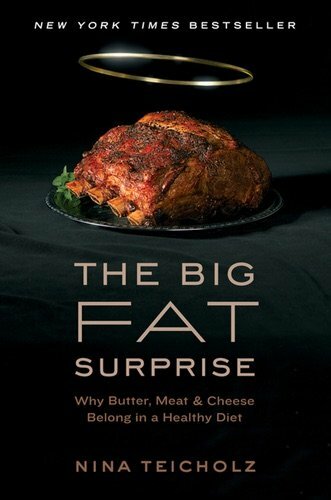 Ms Teicholz’s book is a gripping read for anyone who has ever tried to eat healthily….This is not an obvious page-turner. But it is….The vilification of fat, argues Ms Teicholz, does not stand up to closer examination. She pokes holes in famous pieces of research—the Framingham heart study, the Seven Countries study, the Los Angeles Veterans Trial, to name a few—describing methodological problems or overlooked results, until the foundations of this nutritional advice look increasingly shaky.